By fourth grade, kids have mastered the basics of addition, subtraction, and multiplication, and are ready to move on to more complex skills. They start to learn about division, factoring, fractions, and decimals. In geometry, students start to understand the concepts of segments, angles and rays. To help kids master this wide range of skills and have fun while they do it, we’ve rounded up the most awesome math games for fourth grade. When choosing the games to add to our list, we first looked at academic content and quality. All of the games on the list are high-quality games that are designed to help kids learn. Of course, kids also want to have fun, so we narrowed down our list to include the games that also came with a high entertainment factor. 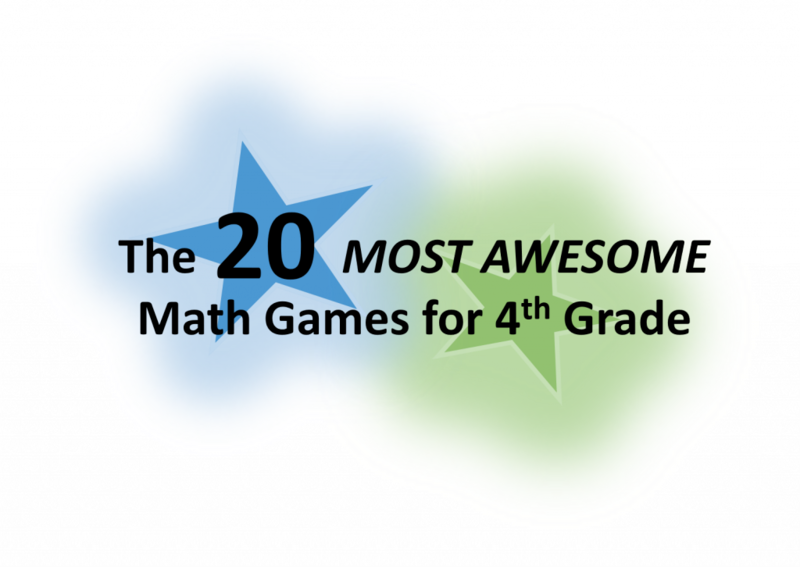 The result: twenty truly awesome games designed to help fourth graders learn math. Once kids have basic addition, subtraction, and multiplication skills down, they need to learn how to use those skills in a more advanced way. This game challenges kids to discover alternate ways to solve a problem. For example, can you make the number 20 by using only the 2, 3, +, x, and = keys on a calculator? This is another game that takes basic addition skills to the next level. Kids must connect the islands by building bridges. Each island has a number on it to represent the number of bridges that should be connected to it. The task may sound easy, but it’s actually pretty tricky. Making the number 15 through addition, subtraction, multiplication, or division may not seem like a difficult task, but imagine that you only have three numbers with which to do it. That’s the premise of this game which puts kids’ basic math skills to the test. In this fun arcade-style game, stars fall from the sky. If the star is a multiple of the number on the bucket, kids must try to catch it. Catch the wrong number and lose a life. Test your knowledge of multiples with this addicting, arcade-style game. 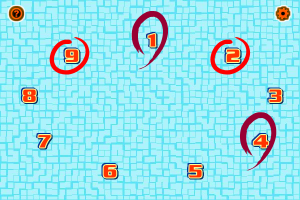 In this game, balls travel around a track. The goal is to keep the balls from traveling into the hole. To stop them, you must shoot balls to make the given number. Kids can focus on multiples from 12-72. 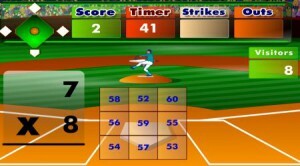 Three strikes and you’re out in this fun baseball game that helps kids practice their multiplication skills. The goal is to beat the visiting team’s score. Kids do that by solving multiplication problems of varying difficulty levels. Solve an easy problem? Get a single. Solve a hard problem? Get a home run. This game is similar to the popular Number Munchers game that kids used to play in school. You can choose to play with addition, subtraction, multiplication, or division problems, as well as fractions. As you play, try to only eat the numbers that apply to instructions given. Head to the races and have kids use their division skills during a multiplayer horse race. Solve the division problems quickly and accurately to win the race. 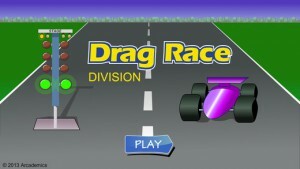 Another game to help practice division skills, Drag Race Division allows kids to complete against one another in a race to the finish line. The goal is to solve division problems as quickly as possible. However, accuracy counts too. Answer a problem incorrectly and you may find yourself at the bottom of the heat. What’s more fun that getting to demolish things while solving division problems?! In this game, kids solve division problems to help them blow up tanks. The game allows kids to set the range of problems they encounter, making it easy to customize the problems for beginners or mode advanced learners. Can you use your knowledge of angles and trajectory to get your ants to new lands? This game, which feels slightly similar to Angry Birds, has kids launch ants to see how far they can go. It’s a great game to help them begin to understand angles. In this game, kids use their knowledge of geometry and angles for a greater good. The goal of the game is to launch supplies into a village that is currently under siege. Miscalculate the angle and the villagers won’t get their much-needed supplies. In this game, kids are challenged to put the balls in order from smallest to largest. However, some of the balls contain negative numbers, so it’s not as easy as it may seem. The inclusion of integers takes addition problems to another level. In this game, kids race against other players to solve addition problems (which include positive and negative numbers) quickly and accurately. Another way to take addition problems to another level is by incorporating fractions. 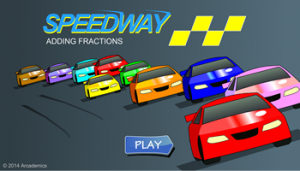 This game tests kids’ knowledge of fractions by having them race to add and subtract them. How well do you know your fractions? Test your knowledge of mixed numbers, fractions greater than or equal to one, and fractions less than 1/2 in this fun game. In this game, kids must drag the monkeys to the correct spot on the number line. 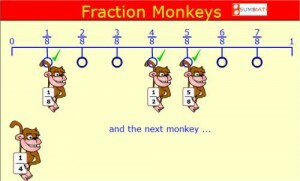 Each monkey is holding a fraction. How many monkeys can you correctly place on the line? 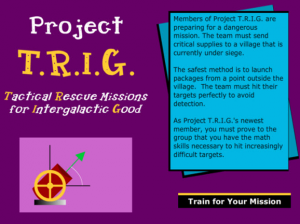 Use your knowledge of fractions, decimals, and percents to build teams of aliens. In this game, kids must match like numbers to build teams of three. Numbers come in multiple forms. What do canoes, penguins, and multiplication have in common? They’re all part of The Great Canoe Penguin Race. In this game, kids practice multiplying two-digit numbers as they try to win the race. If you like these fourth grade math games, be sure to browse Math Game Time to find more free math games, as well as free worksheets and videos to help build math skills in grades K-7.